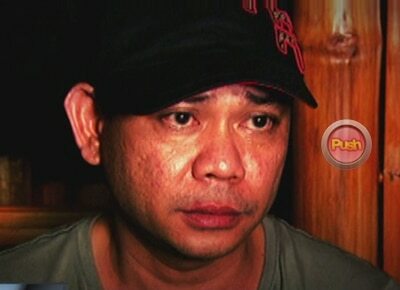 A police report claims authorities have found suspected illegal drugs inside Jobert’s rented hotel room. Instead of gaining sympathy after he was caught supposedly attempting to jump off the sixth floor of a hotel in Quezon City on Saturday afternoon, Kapamilya comedian Jobert Austria is now facing police complaints according to a Philippine Daily Inquirer report. The Inquirer cited a police report on Sunday which said that the Banana Split comedian was being held liable for alarm and scandal as well as illegal drug use. The police, according to the report, recovered a sachet of suspected shabu from Jobert’s rented hotel room when the hotel manager together with his two friends responded to the commotion. “It seemed [Jobert] was desperate, and was on drugs,” the report said quoting the head of the QCPD Anti-Illegal Drugs Unit, Senior Insp. Roberto Razon. Although the police refrained from giving more details, Jobert was apprehended and turned over to a rehabilitation center after the incident. In a taped interview with the comedian, which aired on the Sunday episode of The Buzz Jobert explained that he never really wanted to commit suicide. “Hindi, tumawag lang talaga ako ng atensyon. Wala eh. Wala akong lalabasan sa loob eh. Alam ko nasa lobby ‘yung mga naghihintay sakin. Inaantay lang akong sumakay sa sasakyan raratratin ako,” clarified an obviously frayed Jobert. His surprising actions made him appear to be under the influence of prohibited drugs, something which Jobert himself refuted. “Lasing ako kagabi tsaka hindi ako kumakain dahil nga nagwo-worry ako. Nawalan ako ng isang show tapos iniwan ako ng girlfriend ko tapos pinalayas ako,” he reasoned. But he did confirm that he underwent rehabilitation for the use of illegal drugs in the past in Scout Rallos under a certain Doc Randy. Jobert explained that he spent the night at a hotel after was “banned” from his own condo by his girlfriend of five years. “Nanggaling ako sa taping ng Banana Split umuwi ako. Pag-uwi ko papuntang Europe na siya eh. Pag-uwi ko binan ako sa condo. Ngayon sabi ko ‘Bakit ako binan eh hindi ako sinasabihan ng girlfriend ko?’” he shared. The Home Sweetie Home mainstay likewise shared that his current distressed state stems his tumultuous love life. Jobert claimed that he really fears for his life especially since the husband of his girlfriend is influential. “Alam niya ‘yung mga galaw ko. Ang hirap kasi andoon [siya] pero gumagalaw siya [dito] eh kasi may pera eh. Hindi ko alam eh kasi parang may perang involved basta sabi sakin ng asawa ko ‘Wag kang magpapadala sa Camp Karingal papatayin ka doon’ nagulat nalang ako ngayon nandito ako kaya humihingi ako ng tulong. Hindi ko rin alam eh, wala akong kalaban laban eh,” lamented Jobert.